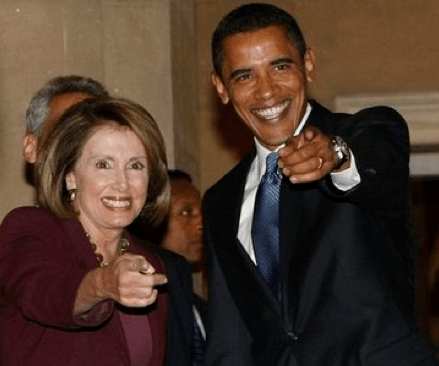 BY MALIA ZIMMERMAN – Nancy Pelosi’s final days as Speaker of the House were spent at the exotic Four Seasons Resort Hualalai at Historic Ka’upulehu in Kona on the island of Hawaii. Escorted throughout her trip by a mini security motorcade that included Secret Service and Hawaii County Police officers, Pelosi was seen at St. Michael’s Catholic Church in Kailua-Kona, where she received Communion. Parishioners greeted her warmly, Hawaii Reporter was told. Two police SUVs were on guard outside the hotel during her week long stay. Pelosi, who traveled to Hawaii by private plane, spent the holidays in Kona last year at the same hotel in an elaborate suite that reportedly rents for $10,000 a night. Hawaii Reporter has requested information from the Police on taxpayers’ costs to guard her. Last year, Hawaii county taxpayers paid more than $21,000.This year, the county estimates are at $13,000. 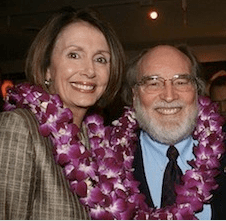 The Hawaii Police Department does not release the number of police officers escorting Pelosi, how many hours they dedicated to Pelosi’s security detail, or whether they were being pulled from other duties. No figures could be obtained for her Secret Service escorts. Her trip coincides with President Barack Obama’s nearly two-week family vacation in Hawaii. Obama’s trip to Oahu has proved much pricier to state and federal taxpayers. Since the Obama holiday story appeared in Hawaii Reporter, readers on the island of Hawaii point to another plane similar to Air Force One (except with a communications dome atop it) that accompanied the President to Hawaii, is at the Hilo Airport. In addition, costs should have been added for the USAF C-17 cargo aircraft that transported the Presidential limos, helicopters and other support equipment. The flight time between Andrews Air Force Base and Hawaii is at about 20 hours roundtrip, with estimated operating cost of $7,000 per hour (GAO report) for a total of $140,000 per roundtrip. Sources say the United States Marine Corps provides a presidential helicopter, along with pilots and support crews for the test flights, which travel on another C-17 flight at $140,000 for a total of $280,000. Hawaii Reporter has requested details on the cost of the President’s trip, but the White House will not release any figures, citing security concerns. A spokesperson maintains the costs are in line with other presidential vacations. Hawaii Reporter has sought to determine the cost of vacations for the current president and last two presidents but it has not received any reply from four emails sent over the last week to the U.S. General Services Administration, the agency that tracks these costs. And we are being told to "get tune ups" and "properly inflate our tires" to save energy and money.